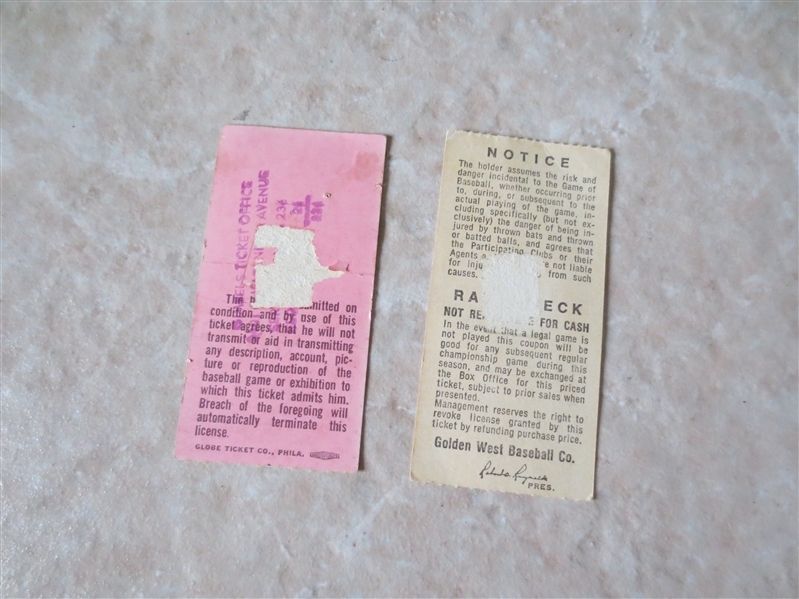 What we have here are two different old baseball ticket stubs. 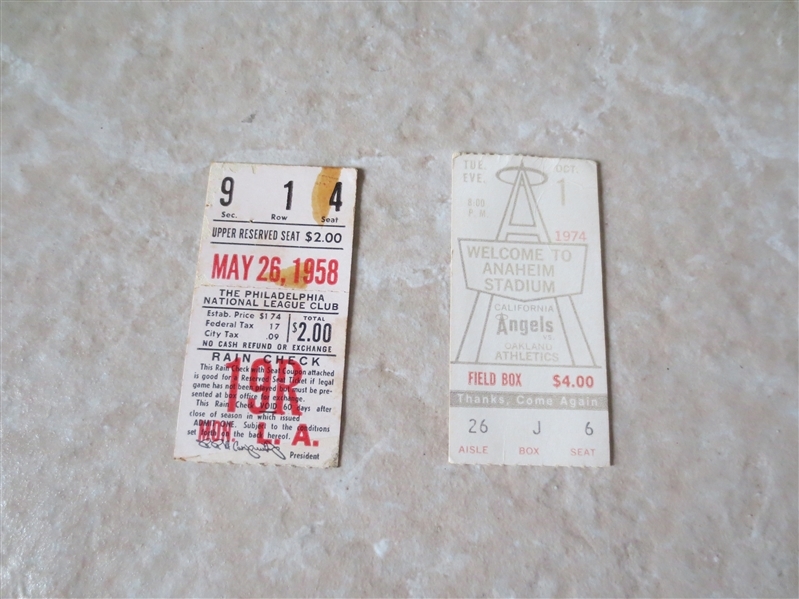 The first is from May 26, 1958 and has the Los Angeles Dodgers in their first year in LA facing the Philadelphia Phillies in Philadelphia. The Dodgers win 2-1 with Carl Erskine beating future Hall of Famer Robin Roberts. The second stub is dated October 1, 1974 and has the Oakland A's at the California Angels. In this game the Angels beat the A's 2-0 with Frank Tanana beating Ken Holtzman. The A's go on to win the World Series.